Hey, happy National Mac and Cheese Day! Yes, everyone’s favorite comfort food has its own holiday. 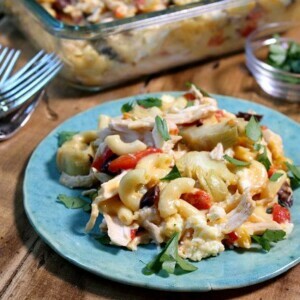 Let’s celebrate with Mediterranean Chicken Macaroni and Cheese! This variety of mac and cheese is made from a base of already-prepared, creamy macaroni and cheese. 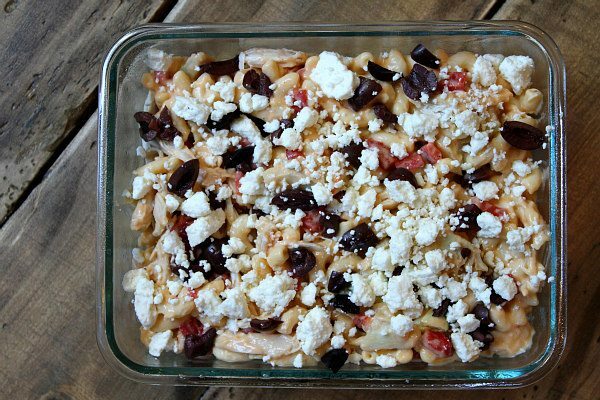 The mac and cheese is combined with a few delicious ingredients to turn it into a fabulous Mediterranean-style version of macaroni and cheese. Bob Evans’ line of macaroni and cheese refrigerated sides are what I’m focused on today. 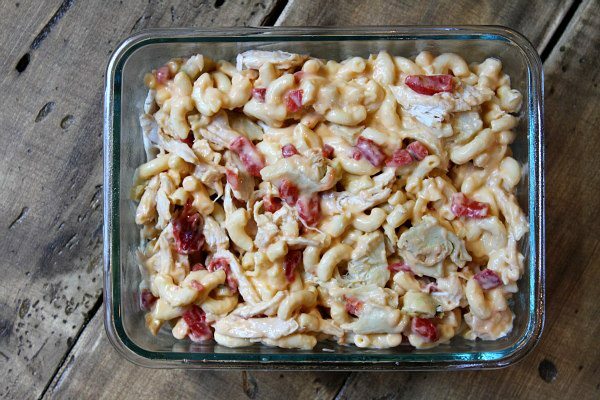 I used their classic Macaroni & Cheese for this recipe. It’s made with real cheddar cheese. My family LOVES THIS MACARONI & CHEESE. It’s great for when you want to pick up a quick side to go with your main dish, and it’s so much better (and easier) than preparing a boxed mix. 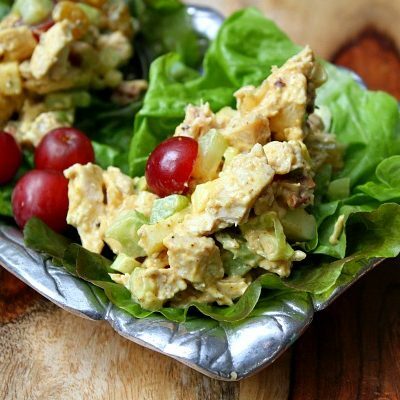 This is a great, quick option to pick up from the store (think of those busy weeknights when you don’t have time to make everything homemade! ), and it’s a quality product that your whole family will enjoy. 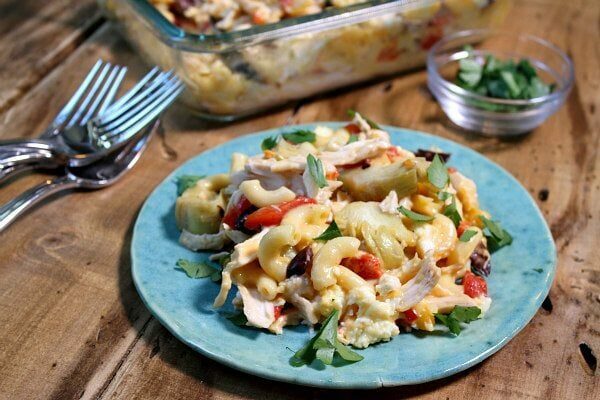 I do use the macaroni and cheese on its own as a fabulous side dish, but today I’m showing you how to use it in a recipe to turn it into something else: Mediterranean Chicken Macaroni and Cheese! 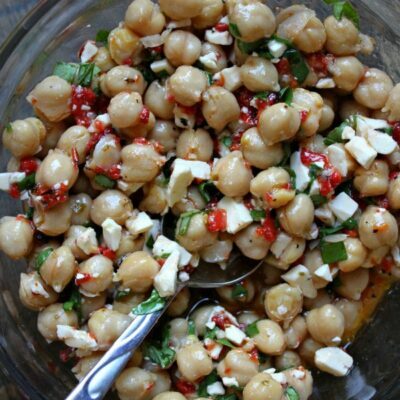 … feta cheese and kalamata olives. A quick bake in the oven, and you’ve got a delicious dinner ready to serve to your family. Note: this can be made even more quickly by heating it in the microwave! My family loves all of the flavors in this dish! Isn’t it fun to see how you can dress up macaroni and cheese? 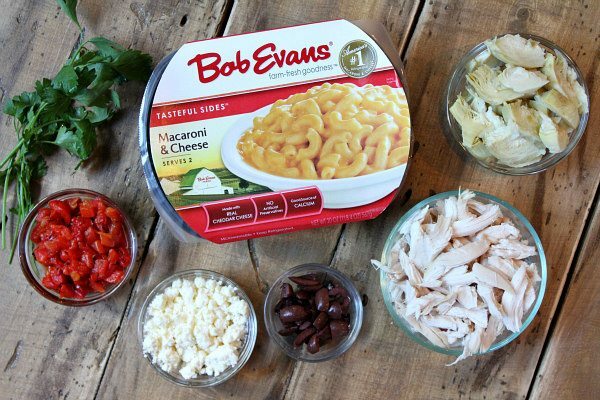 For more recipes using Bob Evans’ products, visit https://www.bobevansgrocery.com/farm-fresh-ideas. 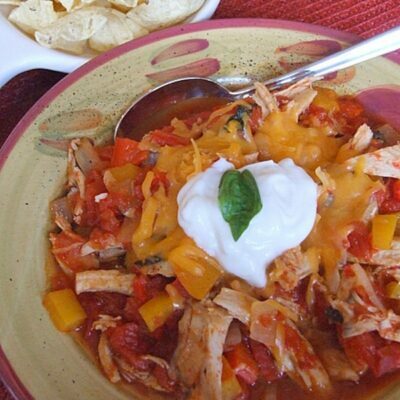 Preheat oven to 375 degrees F. Spray a small casserole dish with nonstick spray. 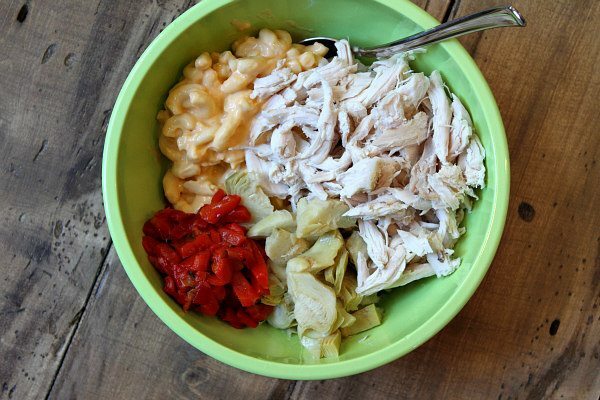 In a medium bowl, combine the macaroni and cheese, chicken, artichoke hearts and peppers. 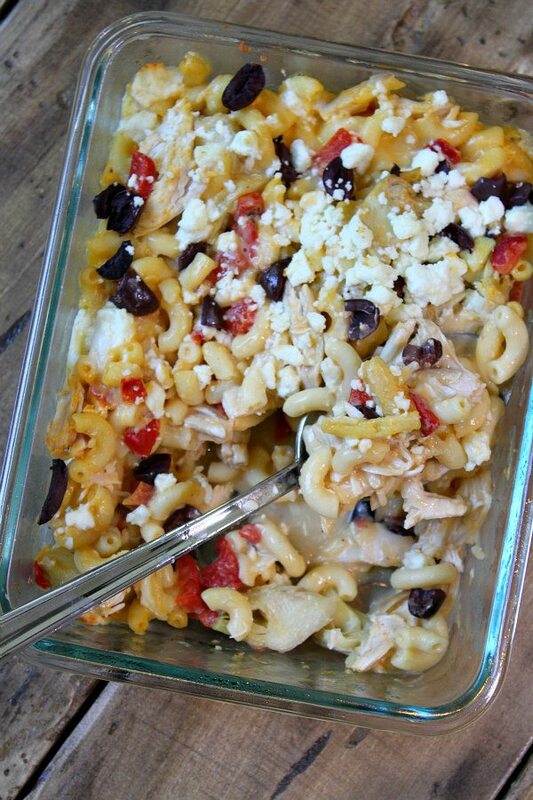 Spoon into the prepared dish and sprinkle with feta and olives. Bake 25 to 30 minutes, or until heated through. Garnish with parsley, and serve. Alternately, you can choose to microwave this dish for 6 to 8 minutes, until heated through. we LOVE Bob Evans mashed potatoes!! I haven’t tried the mac n cheese, but that’s about to change now! !